Although the Flannery Family has been living, working, and playing on this 78-acre farm for over 30 years now, there is an even longer history and stronger tradition that guides Apple Holler. It’s in the sun rising over the Great Lakes, it’s in the soil created by the mighty glacier, it’s in the pristine water from the ancient Inland Sea, and it’s in the magic in the air on the warm summer days and crisp autumn nights. Wisconsin’s unique climate, nutrient rich soil, proximity to the Great Lakes, and plenty of water create the ideal conditions for producing flavorful, high quality fruit here. However, it takes a bit more than nature’s magic and tradition to grow our apples; it also takes a whole lot of labor, love, and innovation. We’re busy year-round planting, pruning, fertilizing, weeding, mowing, harvesting, and managing naturally occurring farm pests that can affect the quality of our crops. That’s why we have incorporated Integrated Pest Management (IPM) into our growing practices. We believe that it is our duty to provide your family and ours with the highest quality of healthy, wholesome fruit; while also caring for our environment, wildlife and community. By using good, responsible farming practices, such as Integrated Pest Management, we are able to produce high-quality fruit, while minimizing economic, health and environmental hazards. 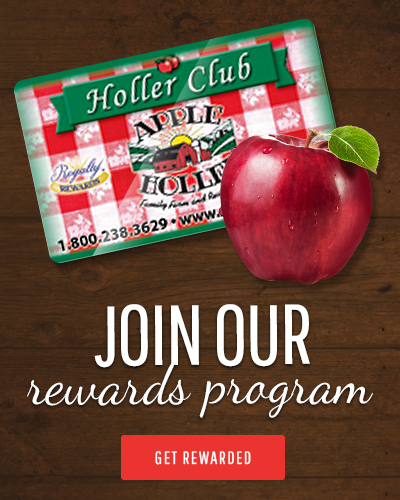 At Apple Holler, we are dedicated to controlling pest populations before they cause problems and are committed to minimal use of pesticides to ensure a healthy farm environment and experience for all families. We do this by using Integrated Pest Management (IPM). Integrated Pest Management (IPM) is a sound, scientific strategy that works with nature, using biology and minimal spraying to reduce pest damage and grow healthy, delicious fruit. With this combination of age-old farming practices and leading-edge technology, we provide the best protection for our crops, your health, and the environment. We want to be good stewards of the land for the benefit of our family and yours. Our goal is to make the best possible decisions in growing our fruit. We strive to maintain a high quality; to provide a healthy fruit at a fair price and to use agricultural chemicals efficiently and wisely; to be knowledgeable about the insect and plant communities that live in and near our orchard; and to be a good steward of the land for the benefit of our family and yours. Disrupting the mating and life-cycles of harmful pests. 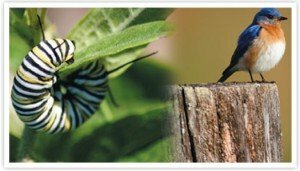 Attracting and protecting “good” insects, “beneficial” birds, and other animals that eat harmful pests. Effectively scouting for and managing harmful insects and fungus. 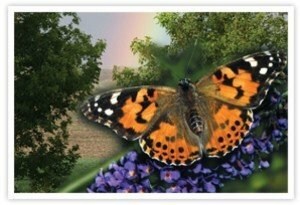 Using “soft chemicals” to reduce specific pest populations without harming “good” insects or other wildlife. Spraying sparse amounts of pesticides ONLY when absolutely necessary for the health of the crop. How we farm now impacts our entire community for years to come, beginning with the soil and extending to our families, employees, and visitors. By using IPM on our farm, we greatly reduce—even eliminate—the use of pesticides, producing high-quality fruit while minimizing economic, health, and environmental risks. We are actively involved year-round in being good stewards of the land. Your health and the quality of the fruit we grow is in our consciousness well beyond the fall months. All seven members of the Flannery Family live, work, and play right here on our orchard and farm property. Like all parents, we want our children to live and grow up in the healthiest environment possible. By minimizing the use of chemicals in our orchard and farm, we are ensuring a healthy environment and a happy outdoor experience for your family as well as ours; while preserving our family farm for generations to come. IPM is a method of pest management used to help farmers anticipate and prevent pest outbreaks so that crop growing can be more environmentally safe and economically sound. 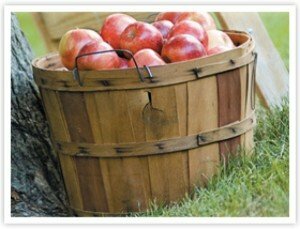 It is based on using a wide variety of pest management tactics to produce wholesome apples and other crops, profitably. IPM can involve the use of chemicals and biological controls, cultural tactics, and the use of resistant plant varieties. Monitoring pests with insect traps, spore counts and visual observation, provides the information to decide when or if control pest thresholds have been reached and which control option will be most practical. Accurate identification of pests is essential to making proper pest management decisions. Is IPM the same as “organic”? While IPM and organic farming have some differences, farmers who utilize IPM use many of the same methods as organic farmers. Both IPM as well as organic farmers use pest management methods such as: pruning, mating disruption, life-cycle disruption and insect traps. In addition, both organic and IPM growers may spray their crops, whereas organic growers spray organic materials, IPM growers use “soft chemicals” which only affect the insects that are damaging the fruit crop. We strongly believe that the care and love we put into our family farm is returned to us and those who visit in the form of delicious tastes, beautiful sights, and lasting memories. Through environmentally-friendly practices, we hope to pass this tradition on to future generations of our family and yours.